Maximizing space is important for every Stamp-n-Storage product released. Brett from Stampin' Storage recently designed a new Paper Holder that takes up the same amount of space, but offers 3 more slots. This means you can organize even more paper colors! The new 15-Slot Paper Holder will be available in both Standard and IKEA options, and 12x12 and 8.5x11 sizes. 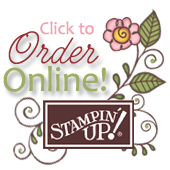 The slots still allow plenty of space for organizing two Stampin' Up! packs of cardstock per slot (48 sheets). We are completely in love with these new Paper Holders and think you'll love them too! Sale begins Monday, February 11 at 5 PM CST and ends on Valentine's Day (February 14) at 11:59 PM CST. 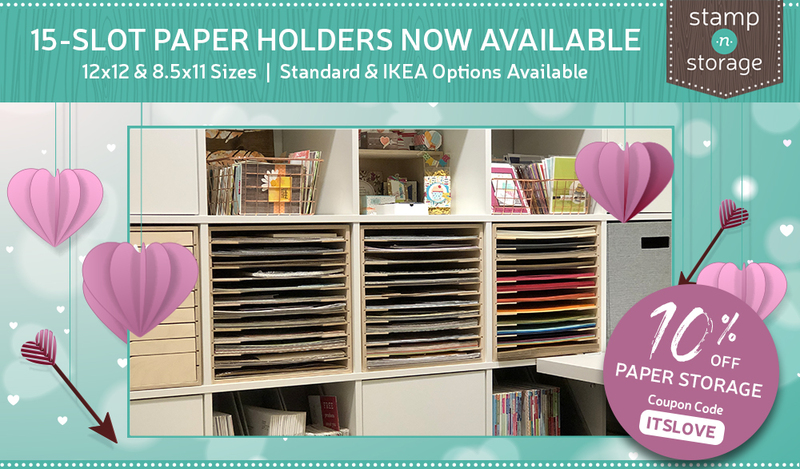 If you have been looking for a paper storage solution, this is a sweet Valentine's Deal!